Each morning at preschool after the students have completed their morning work, we spend a few minutes together at Circle Time. 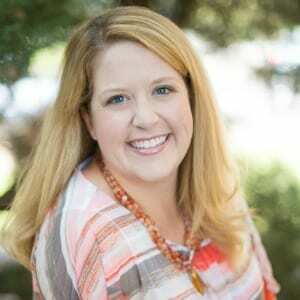 At the beginning of the year with our younger students, it lasts about 5 minutes– just enough time to sing a hello song and practice each others’ names. 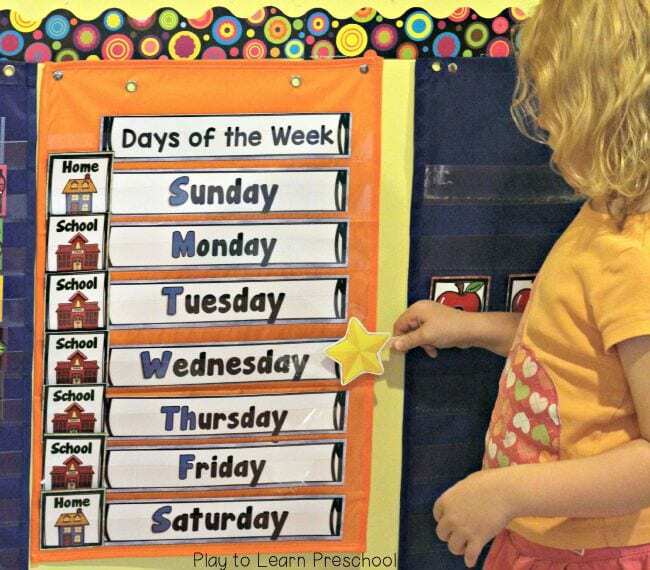 By the time our students are in Pre-K, they are ready to incorporate a short calendar time and a mini-lesson as well. The important thing to remember when planning any activity is the children. How long can they be attentive? If it’s only a short time, keep it short. If they are asking questions such as, “How many days until my birthday?” or sharing stories about what they did “yesterday” (any time in the past!) it might be time to introduce the calendar. It’s also important to remember to take it slow at the beginning of the year! Introduce 1 thing at a time, based on what the children show interest in or have experience with. 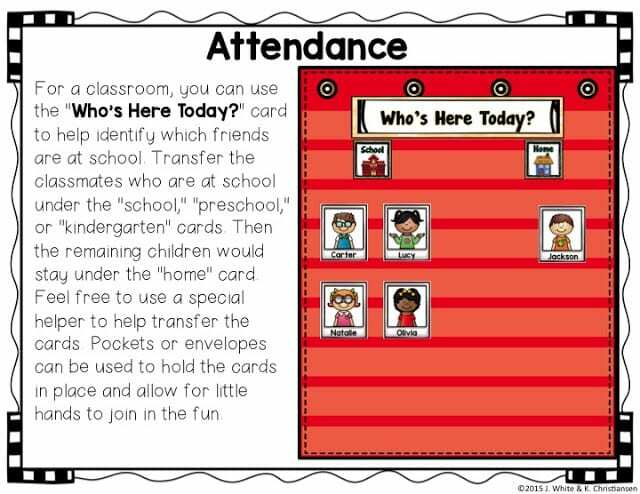 For our class, we start by answering the question of, “Who’s here today?” Each child has a photo magnet with a picture and name on it. When they arrive, they place their magnet on the board. It’s a great way for them to practice name recognition and also to learn their classmates’ names. Shortly after that, we add picture cards for our daily plans. 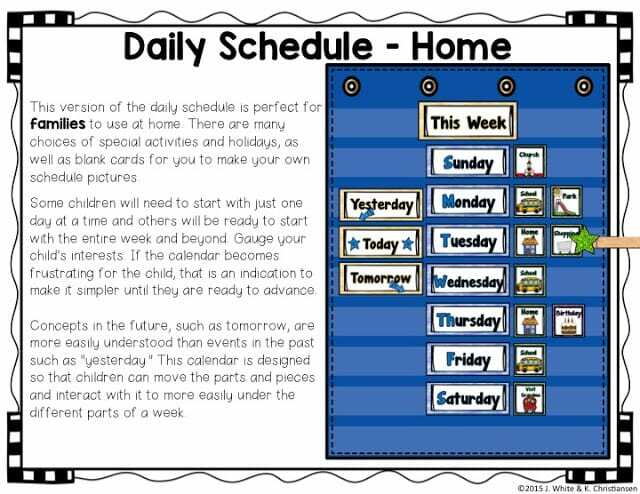 Our students always ask, “Is tomorrow a school day?” so we add a picture that shows whether they will be at home or at school. We also mark special days like birthdays and our music class. 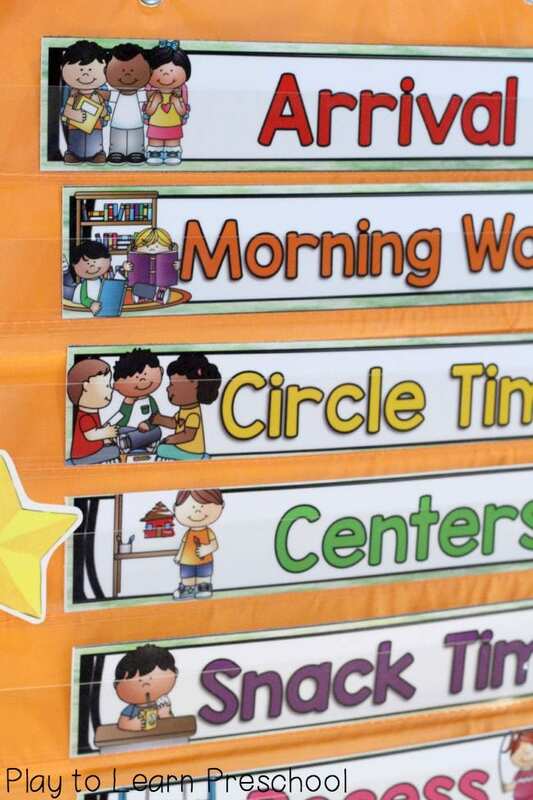 Students in Pre-K may also be ready to talk about numbers. 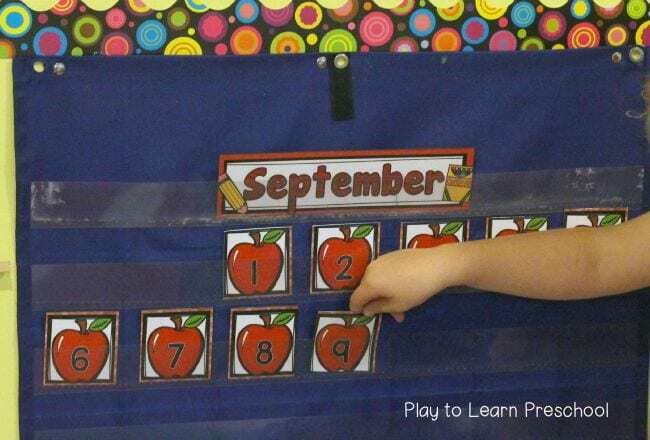 Our Pre-K kiddos love to count how many days are in the month and add a new number to the calendar pocket chart. 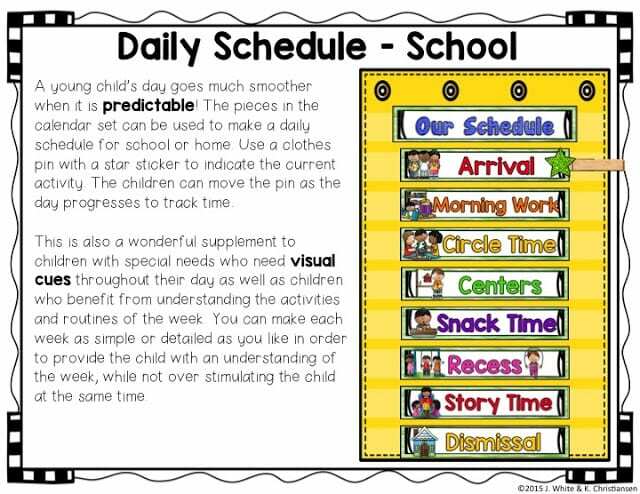 We have one more pocket chart with our daily class schedule, so that we can mark the passing of time throughout the day. 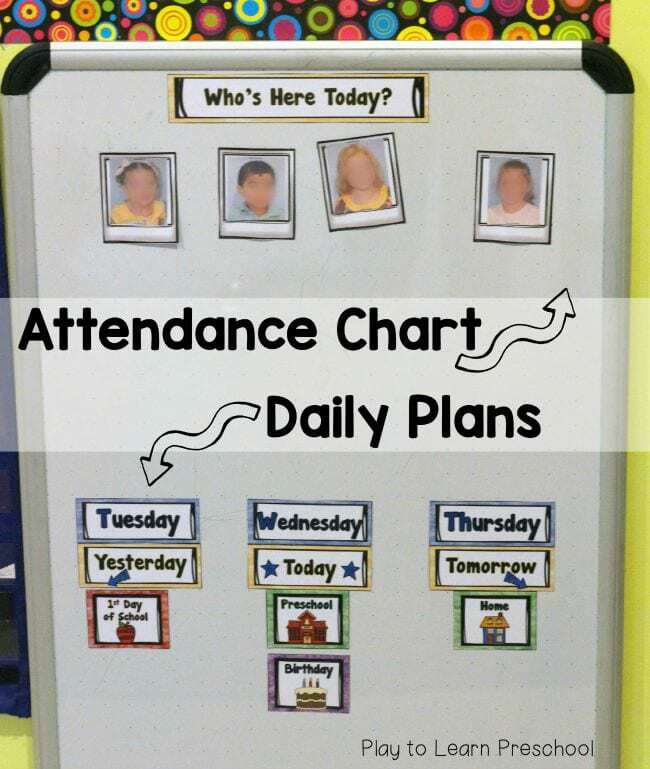 Especially at the beginning of the year, the children wonder, “What are we doing next?” and “Is it time to go home?” This chart is a great way to help them visualize the steps of the day. All of these pieces are included in this My First Calendar set that Katie from Preschool Inspirations and I have been working on all year! 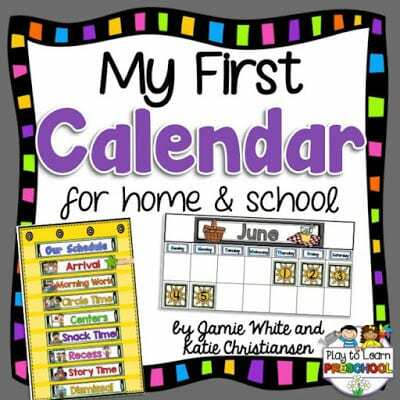 Be sure to check out her post to see how she uses the pieces in a homeschool classroom setting. 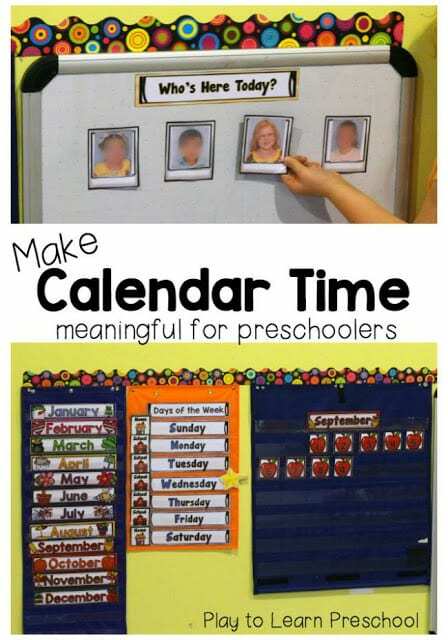 It is such a treat to see how you teach circle time in your class and implement calendar concepts!! This is so beautifully designed!! You are amazing at what you do :). Do you have a link to your picture schedule cards? It's on sale today and tomorrow – 28% off if you use the code BTS15 at checkout.